If you get tired of filling out entry forms for sweepstakes over and over again every day, Roboform could be your answer. This popular sweepstakes entry tool makes filling out entry forms take less time, meaning that you can enter more sweepstakes in the time you have available to you. It helps you avoid typos which could cost you a prize and it stores passwords so that you can have a different login for each giveaway you enter, leaving you less vulnerable to hacks and identity theft. So how does it work? Roboform is an automatic form-filling program and password manager. That means that you can simply enter information like your name, address, email address and telephone number into Roboform's easy interface, and you will be able to automatically fill forms with a single click of your mouse. You'll save an enormous amount of time and energy and be able to enter more sweepstakes without needing to spend more time. Roboform allows you to save entry forms for individual giveaways, which is very helpful for daily sweepstakes. The first time you visit the giveaway, fill out your information by hand, verify that everything is correct, then save it to Roboform. When you return the next day, just click a button and the information you saved will be entered into the form. You can even save opt-in information so that the entire form is filled out perfectly each time you enter. You can then choose to submit the entry form by hand or use Roboform's one-click feature to fill and submit the form in one go. If you have more than one sweeper in your home, you can use Roboform's Identities to store separate information for each, meaning that each person can make their individual entries quickly and easily. You can also use Roboform's Identities to save information used in different situations, like your home and work address. The password management features are also very important to sweepstakes fans. Many giveaways, especially daily sweepstakes, ask you to create a username and password when you enter. Coming up with unique passwords for hundreds of different sweepstakes sites is difficult to do. But reusing passwords (especially for anything sensitive, such as bank or email logins) leaves you vulnerable if the sweepstakes sponsor's database is hacked. Roboform can generate a strong password for each sweepstakes site you enter, and can also remember it for you. The basic Roboform software is free to download; however, you may want to consider upgrading to the "professional" version after you try out the software. A paid version gives you access to unlimited identities, saved forms, and advanced features. Roboform Everywhere is a handy add-on if you enter sweepstakes on multiple devices. Everywhere allows you to sync your data across desktops, laptops, tablets, and smartphones so that you can enter sweepstakes at your desk or on the go. See Roboform's website for more information. Some sweepstakes won&apos;t let you enter with Roboform. It helps you ensure you won&apos;t forget your passwords when you return to your daily sweepstakes pages (it can even generate safe passwords for you). Some sweepstakes sponsors will even disqualify you for entering with Roboform. It makes sweepstakes less boring and less frustrating. Many of Roboform&apos;s features are only available in the paid version of the software. It avoids typos and other mistakes on your entry forms. Some sweepstakes, like those that use Flash, won&apos;t work with Roboform. You can use Roboform with your smartphone, where typing is particularly tiresome. You need to double-check your entries before you submit to make sure that Roboform hasn&apos;t made any mistakes. There&apos;s a free version that you can try before you buy. Will You Be Disqualified for Using Roboform? Sponsor reserves the right in its sole discretion to disqualify any entry that it believes contains obscene, offensive or inappropriate content, that does not comply with these official rules, or that is not consistent with the spirit of the contest. That means that the sponsor can disqualify you for any reason, including using Roboform, without telling you about it in advance. However, most sponsors won't disqualify you unless you break a guideline specifically mentioned in their rules. This rule usually covers automatic sweepstakes services where the participant does not have to visit the site to enter. 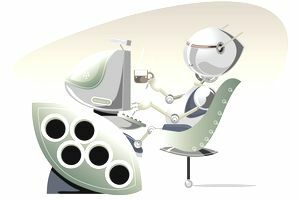 Roboform users visit the sweepstakes sites, although they do not enter their information by hand. Therefore, this rule usually does not apply to Roboform users. Technically, this rule does apply to Roboform, which is a macro program. However, most sponsors intend this to cover automatic sweepstakes services, as above. Therefore, this rule might or might not apply to Roboform users. The only way to be sure is to contact the sponsor or to take your chances with disqualification. This rule means that you must type the entry forms by hand, without the use of any aids including Roboform, the fill-in feature of Internet Explorer, etc. This rule definitely excludes Roboform users. The good news is that very few sweepstakes sponsors mind if you use Roboform to enter. After all, you are still visiting their website and you still have the chance to read their promotional information and purchase their products. Therefore, your chances of disqualification, especially if you read the rules before entering, are very low. If you're not sure whether Roboform is right for you, download the free version and try it out. If you need more features, you can upgrade to the paid version at any time. Roboform is very popular among sweepstakes fans, but there are other ways to speed up your sweepstakes entries as well. Check out the Best Auto-Fill Programs for Sweepstakes for other options.